PRE- WORKOUT is a blend of amino acids and energy boosters which activate your muscle to increase performance. Creatine Monohydrate, Caffeine and L-Tyrosine makes you feel hyper active, increases your focus and make you lift heavier. For athletes this product helps in increasing the duration and endurance levels. Feeling of fatigue will be reduced and you can lift more. L-Arginine, Beta Alanine, L- Citrulline helps in increasing the blood flow into the viens and increases nitric oxide production. L- Glutamine and BCAAs help in muscle recovery after a strenuous workout and also helps in boosting natural Growth Hormone. Suggested use: use on training days only. Take 2 tea spoons in water 20 mins prior to the workout. You may take an additional serving during the workout if required. Do not consume the product before sleep. Increase the intake of water while you use this product. 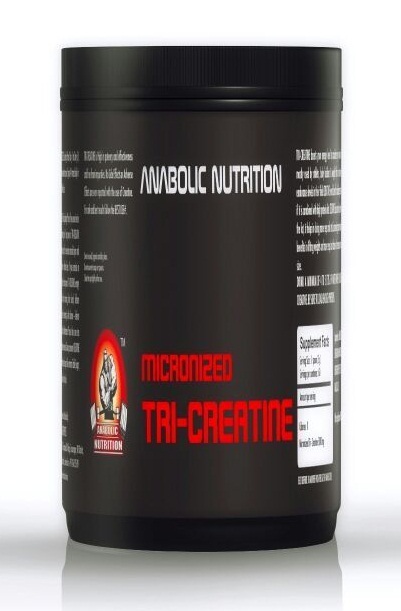 Ingredients: Micronized Creatine Monohydrate, L-Glutamine,L-Arginine, L- Citrutlline, Beta Alanine, L- Tyrosine, L-Lysine,L- Leuicne, L- Isoleuicine, L-Valine, Caffeine Anhydrous, waxy maize starch, dextrose monohydrate, Citric acid, artificial sweetener & flavors. 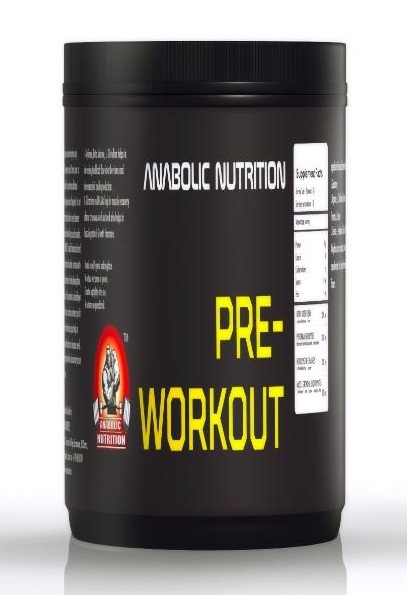 Pre workout supplements is a blend of amino acids and energy boosters which activate your muscle to increase performance. Creatine Monohydrate, Caffeine and L-Tyrosine makes you feel hyper active, increases your focus and make you lift heavier. For athletes this product helps in increasing the duration and endurance levels. Feeling of fatigue will be reduced and you can lift more. Pre Workout supplements specifically designed for building muscle, formula with creatine, amino acids, minerals designed to help improve performance and reduce fatigue. Pre workout supplements are designed to support increased energy, anabolicnutrition offer some of the best creatine & amino acid supplements to support energy. I am using this product from last 1 month. Now my energy levels are increased, spending more time in gym, lifting heavy weights. I am happy to say try this anabolic pre workout to boost your energy levels. Its a very good pre workout protein, gives you lasting energy. When I decided I’d like to try out using a pre-workout. This was my first choice and I’m happy to report that it adheres to the high quality I’ve experienced in other products. Much better than most pre-workouts. Very clean compared to others and you know exactly how much of each component is in each serving. Flavor is perfect. Essentially taste is good. It mixes very very well with water and goes down fairly easy. I like that I don’t need extra water to get the overwhelming taste out of my mouth like most other pre-workout blends. Great product at reasonable price & Good taste too. It gives me some good energy which is especially awesome after work when I don’t feel like going to the gym. Great taste! I’ve been using this product for a few months now and am never let down. They make great products and this pre-workout is great! Gives you that energy push you need for the gym! I tried this preworkout before and I enjoy it as a mild option with all the basic substances. This one is a great deal for 60 servings. The flavor is good and it does not upset the stomach. It is all natural and it sustains me through a 45-minute to an hour-long workout. This is a best preworkout on the market in my opinion! Micronized Creatine Monohydrate, L-Glutamine,L-Arginine, L- Citrutlline, Beta Alanine, L- Tyrosine, L-Lysine,L- Leuicne, L- Isoleuicine, L-Valine, Caffeine Anhydrous, waxy maize starch, dextrose monohydrate, Citric acid, artificial sweetener & flavors. Glutamine is highly in demand throughout the body. 60% of free-form amino acids floating in skeletal muscles are L-glutamine. L-glutamine plays a very important role in protein metabolism, and it appears to be a very important nutrient for body builders. Heavy exercise can decrease glutamine stores by 40% or more. Exercise or lifestyle stress can decrease glutamine stores. When the body is exposed to the stress or trauma it draws glutamine from skeletal muscle stores (your muscles). In an attempt to heal itself, the body sends stored glutamine to damaged tissue. Growth hormone which is produced by the pituitary gland is a very complex hormone consisting of 191 amino acids. Increasing lean body mass, reducing body fat, mood, memory, and alertness are all benefits linked to growth hormone. Unfortunately, at the age of about 30 the body begins to produce less growth hormone, and as we age that amount continues to decrease. If you are interested in a cheaper way to maintain increased growth hormone you could consume 2 gram of glutamine, five to six times per day between meals. Growth hormone is naturally released shortly after you fall asleep; ensure that your last serving of glutamine is consumed shortly before bed. It helps in relieving stress, depression, burnout, anxiety, and mental fatigue. It also improves alertness and enhance cognitive performance. Resulting in increased workout intensity, increase recuperation and prevent overtraining. Its surprising benefits are to increase thermogenesis, lipolysis which means fat loss. Lysine is an essential amino acid. This means that the human body cannot produce L-Lysine and this important amino acid must be obtained from dietary intake. L-Lysine plays a major role in calcium absorption; building muscle protein; and the body's production of hormones, enzymes, and antibodies. Lysine works with other essential amino acids to maintain growth, lean body mass, and the body's store of nitrogen. Leucine is an essential amino acid that is used in the biosynthesis of proteins. Leucine is an α-amino acid, meaning it contains an α-amino group, an α-carboxylic acid group, and a side chain isobutyl group, making it a non-polar aliphatic amino acid. Isoleucine is an α-amino acid that is used in the biosynthesis of proteins. It contains an α-amino group, an α-carboxylic acid group, and a hydrocarbon side chain, classifying it as a non-polar, uncharged, aliphatic amino acid. L-Valine is an α-amino acid that is used in the biosynthesis of proteins. It contains an α-amino group, an α-carboxylic acid group, and a side chain isopropyl group, making it a non-polar aliphatic amino acid. Caffeine is such an effective stimulant that many people are using a highly concentrated caffeine powder, or caffeine anhydrous, to stimulate athletic performance or weight loss.